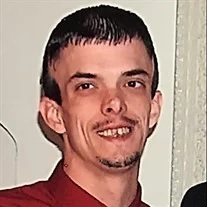 Robert Joseph “B.J.” Nettles, Jr., 35, of LaFayette, passed away Sunday, January 20, 2019. He was a lifelong resident of the North Georgia area and was of the Baptist faith. He enjoyed working with his father on jobs, was an avid Georgia Bulldogs fan and loved NASCAR. He was preceded in death by his maternal grandparents, Bobby & Glenna Nettles and paternal grandparents, William & Retha Nettles. Survivors include his parents, Cynthia Harris Pagileno and Robert “Bob” & Darlene Nettles, Sr.; aunts, Carrie Nettles, Patty Arnold and Sandra Mullinax; great uncle, Jimmy “Byrd” Wallis; special sidekick, Dottie; and numerous extended family & friends. Funeral services will be held at 1 p.m. on Thursday, Jan. 24 in the LaFayette Chapel, with Pastor Neal Brown officiating. Burial will follow in the Crestlawn Memorial Park. The family will receive friends after 4 p.m. on Wednesday and prior to the service on Thursday at the funeral home. Online at www.wilsonfuneralhome.com. Arrangements by Wilson Funeral Home-LaFayette Chapel.